Allegra Boverman/Gloucester Daily Times. 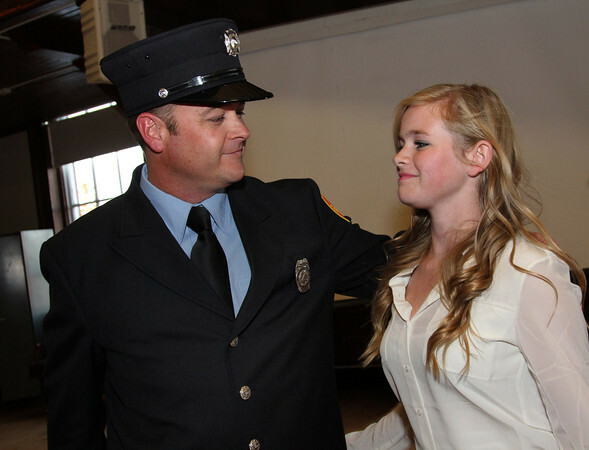 Gloucester Fire Department personnel were promoted on Thursday during a Public Safety Badge Ceremony held at City Hall. Joshua Severance, left, is a new firefighter/paramedic. His daughter Tegan, 15, placed his badge on his uniform after he was sworn in.